It's hard to imagine that some people in the United States with the means to do so, don't ever venture across the border. Mexico is literally three hour plane ride from New York City depending on the city you visit. I, like many young people, went to Cancun. Cancun is full of great shopping, amazing beaches, and all the modern amenities of a classic vacation. There is no place like it! An 8 hour drive from some of the most relaxing party resorts lies some of the most amazing pyramid-like temples in the Western hemispheres. Chichen Itza is the lost city of the great Mayan civilization. If you are really into history like me, I suggest planning a day trip with a reputable tour company to see the amazing structures. Make sure you wear comfortable shoes, sunblock and bring along an umbrella to block the scorching sun. If you are in the market for hammocks, straw bags, and hand crafted bowls, going to Cancun is a nice retreat for you. Cancun really does a great job of advertising its tourist traps, as you can imagine. Finding some of the traditional pieces are much harder to look for without a lot of discernment. I recommend searching in remote towns or even off the road vendors who are willing to negotiate on their prices. Some of my most sturdy beach bags come from Mexico. I found them on the route to the Mayan Ruins and they were very affordable. 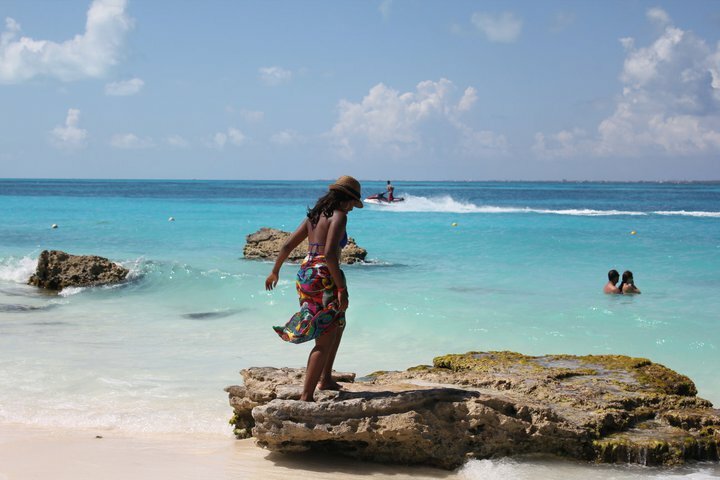 It should go without saying that Cancun is known for their pristine beaches and fun water activities. Though, depending on the season, they can become extremely crowded. The beaches remind me of an relaxation and fun. While they are not quiet by any means, they are not populated with pushy salesman offering up everything from bikinis to screwdrivers (i.e. Rio de Janeiro). The beaches are really great for families of small children and even teenagers.